USA international Christian Pulisic has hinted that he could remain with Borussia Dortmund for a few more years as he is not desperate to pursue a bigger challenge elsewhere. The teenager joined the Bundesliga outfit under the guidance of ex-boss Jurgen Klopp, and he has since improved leaps and bounds to become a regular in the starting line-up. Despite this, the versatile attacker remains a transfer target for the likes of Liverpool and Manchester United in the summer with both sides holding different merits in their pursuit. 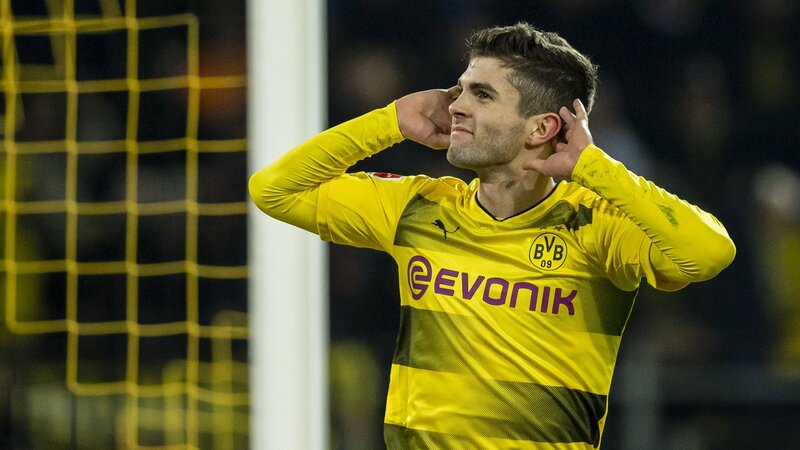 Whilst Liverpool are managed by ex-Dortmund coach Klopp which makes it enticing, United were Pulisic’s favourite club whilst gaining the love for the club, and this could yet play a role in a future transfer. Bayern Munich have also thrown their name in the hat as they look to replace veteran midfielders Frank Ribery and Arjen Robben, though Pulisic has previously made it clear that he does not see himself swapping Dortmund for the Bavarian giants as many players have done in the past.